I am a manipulator, and the person I manipulate most is me. I love doing hard things. I thrive off the challenge and the thrill of success when it’s all over. But getting and powering through the hard parts is all about the mind games, especially when it comes to eating. Let’s get real: I’m on day three of another Whole30 right now and I’m so hungry I could stab you in the face. That’s pretty rude since I might not even know you, huh? Four eggs for breakfast scrambled with what felt like a ton of fresh spinach and two giant cups of coffee mixed with full fat coconut milk and …. yup. Starving. This happens to me for the first week of every Whole30 I do (I’ve done two full 30 days successfully and four or five where it’s been more like a Whole20 thanks to circumstances outside my control like work travel) as I figure out exactly what it means to feed myself enough real food to not be hangry (hungry + angry) all the time. I imagine this is true of every kind of eating challenge. Don’t know what the Whole30 is? Read this post. And it’s not just the first-week hunger of Whole30 that puts me at risk of hurting someone. There’s the carb flu, the sugar detox, the kill all the things stage, the dreams about ritz crackers (seriously what voodoo magic is at play that makes them sooooooo buttery and delicious?!) and that “mama needs a beer” feeling that happens at about 5 p.m. on any given Friday. Willpower alone is not enough for this. The only way I make it through an eating challenge is by sheer trickery and mind games. How do I fool myself? 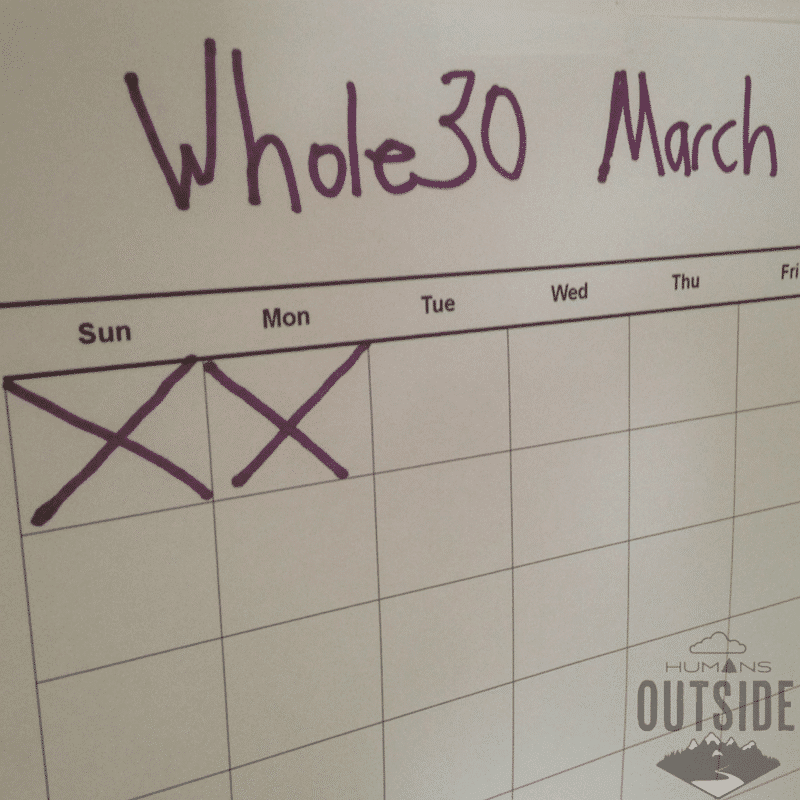 Here are four tips for Whole30 success. 1. Hide the bad food. Out of sight, out of mind? Sometimes I am as simple as my 2-year-old. If I can’t see something I will forget about it. Caramel corn? What caramel corn? But seriously, hide it better than this. But if I can see it, when I hit the cupboard at 2:30 p.m. (for that afternoon snack I always claim I don’t eat and fail to plan for but actually do want every single day) willpower will be gone and I will eat the first thing I see. If that thing is crackers it’s over. 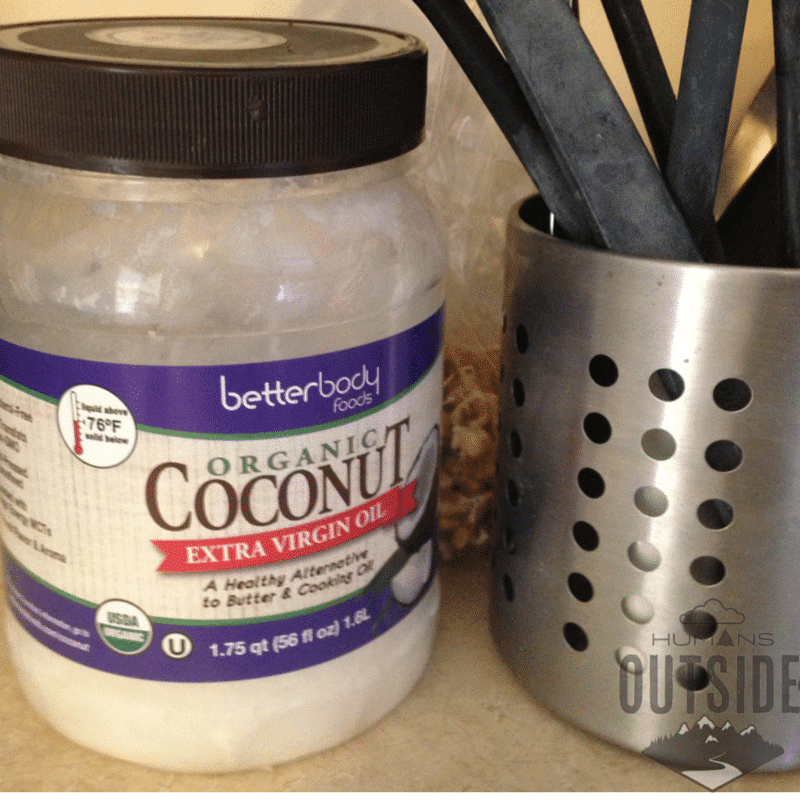 If that thing is almond butter? It’s on. I love me a good checklist. For every Whole30 I print off and tape up where I can see it in my kitchen a 30 day calendar. Here is a good one you can print off. At the end of every day I take out my marker and cross off the day I just finished. That makes me feel like I accomplished something — I’m such a nerd that just getting to check off a day feels like a reward in and of itself. Woohoo! Made it two whole days. It also helps me on the hard days see that there is an end in sight. 3. Make a meal plan. Every Saturday morning I head to a clean bakery in town and eat the world’s most delicious iced sugar cookie. It is life changing. I think about it all week. 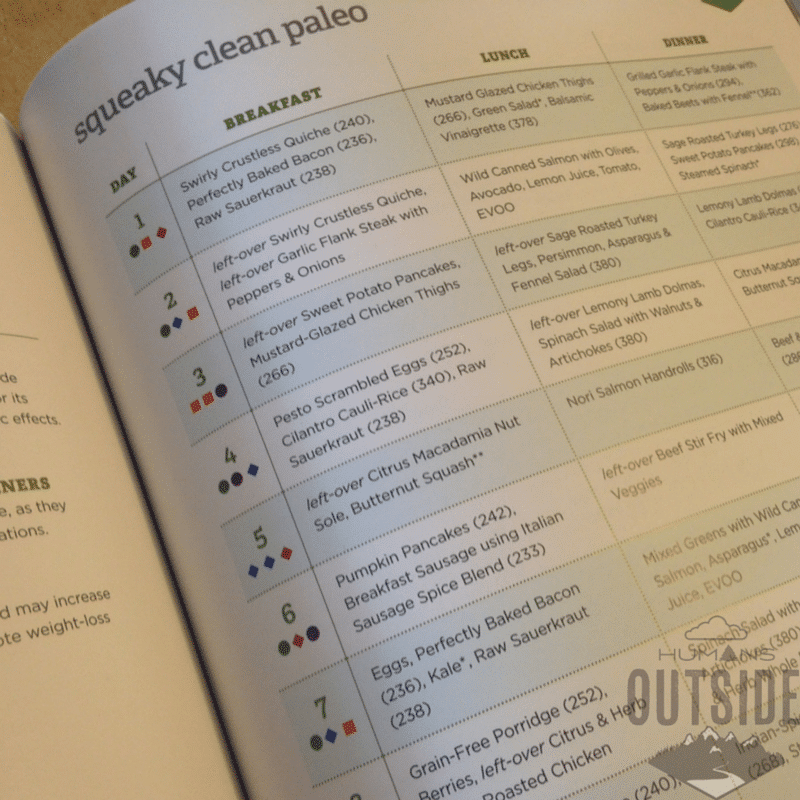 I LOVE the menu plans in “Practical Paleo.” You may need to modify them slightly for Whole30 (since some recipes do use added sweeteners) but overall they are a great guide for successful Whole30 eating. So I need something else for Whole30 success. I need a way to trick myself into excitement for my upcoming food. I need a meal plan. Many eating challenge guides strongly suggest meal plans as a way to ensure success. But their reasoning has more to do with the plan itself. Knowing what you are going to eat helps make sure you have the ingredients on hand and don’t cave to bad choices, they say. And they’re right. But I like having a plan for a different reason: it because it gives me something to look forward to. If I know what is for dinner or lunch tomorrow I can get excited about it. 4. Reward yourself with Whole30 comfort food. If this is your first Whole30 you may not yet know what your favorite Whole30 comfort food is. You may be thinking “DIET COKE IS MY LIFE, YOU FOOL.” And I’m sorry about that. I’ve been there. Shred sweet potatoes in your food processor, fry them until done in coconut oil. Top with fried eggs. YUM. Have secrets to Whole30 success that you want to share? Leave them in the comments! I want fried eggs and sweet potatoes right now. Please share. That is all. “But I like having a plan for a different reason: It gives me something to look forward to.” Yes, yes, and triple yes. If I know I have something delicious planned for dinner, I am that much more likely to forego snacking in the afternoon. This also means I’m more adventurous with meal planning: I need to plan meals I know I’ll be excited about! I love so many thing about this post, but most of all I think I love the meal plan photo. Putting that book on my list NOW. 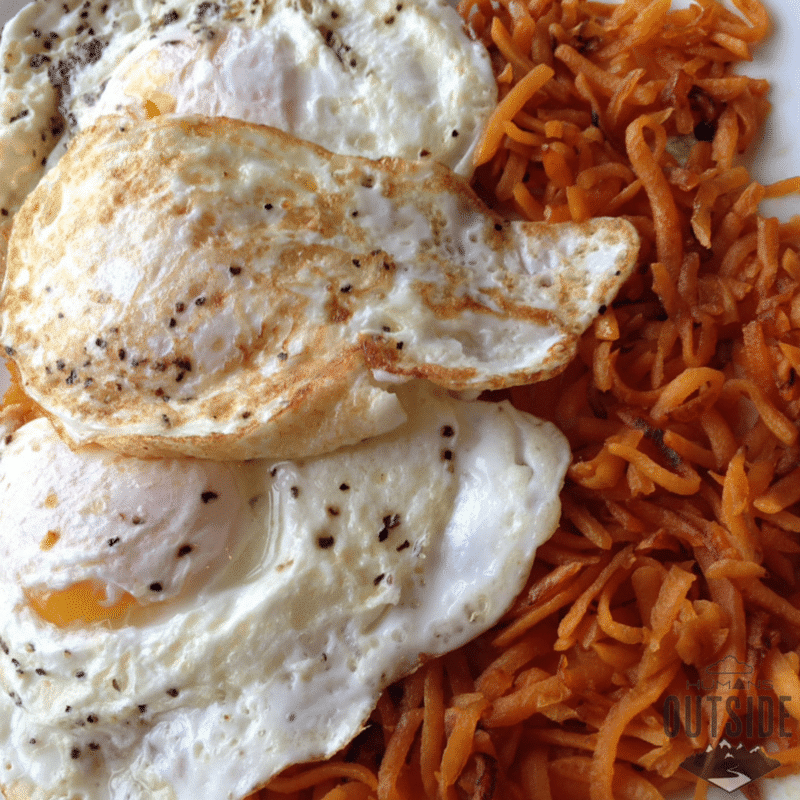 Sweet potato hash browns are out of this world.